Day & Night Wide Dynamic Range Vandal Dome CCD Camera. 1.3 Megapixel. 3.7~12mm Auto Iris Lens. POE 12VDC. 1 Year Warranty. An Internet protocol camera, or IP camera, is a digital video camera commonly used for surveillance and is able to send and receive data via a computer network and the Internet. We have a wide range of IP Cameras available at SF Cable. 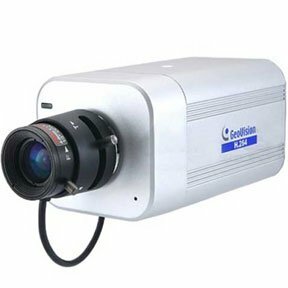 Our range includes Pan/Tilt wireless IP Cameras with different specifications, IP surveillance cameras with remote control intelligent motion detection, Day & Night wide dynamic range vandal dome CCD camera, and others. With SF Cable, you can be sure about the quality of the product. All the products are safe to use and are certified by RoHS. Additionally, you get the goods at very competitive prices and with lifetime technical support.